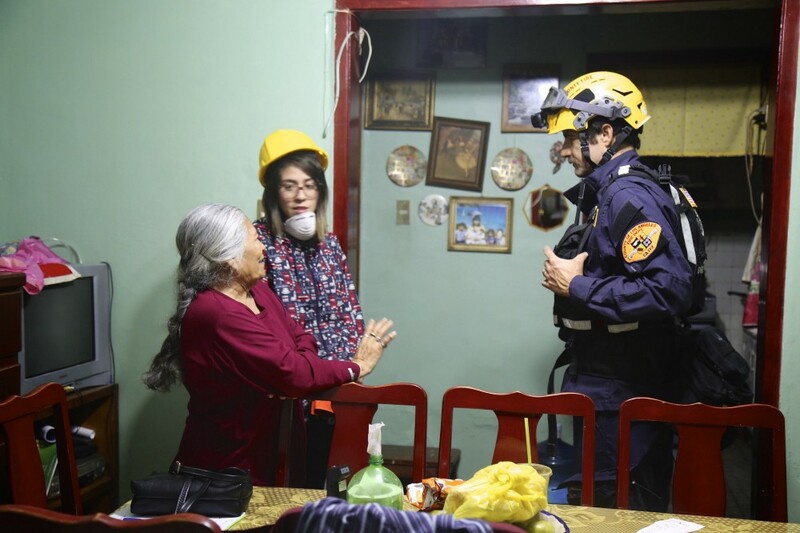 Members of USAID's Disaster Assistance Response Team (DART) support the Government of Mexico’s rescue efforts following an earthquake in Septemeber 2017. When an earthquake strikes, every minute counts. Here’s a timeline of USAID’s response to the September 19 earthquake in Mexico. September 19–1:14 p.m. (CT) : Magnitude 7.1 earthquake strikes approximately 75 miles from Mexico City. The powerful earthquake — the third to hit Mexico in a month — killed more than 355 people, injured more than 6,000 people, and damaged more than 44,000 buildings across the region. September 20–5:00 a.m. (ET): USAID activates a Disaster Assistance Response Team (DART) to support the Government of Mexico’s rescue efforts. 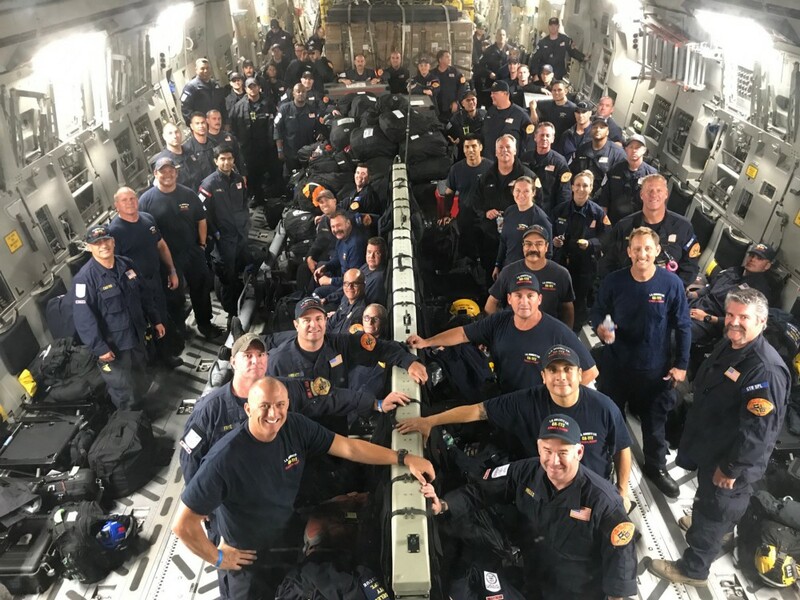 September 21–5:00 am (CT): USAID’s DART, including the Los Angeles County Fire Department Urban Search and Rescue (USAR) Team, arrives in Mexico City. 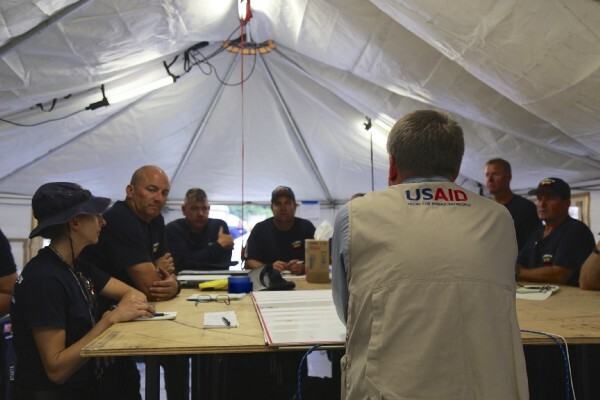 September 21–12:00 p.m. (CT)- USAID’s USAR team sets up their Base of Operations and prepares to begin search and rescue missions. 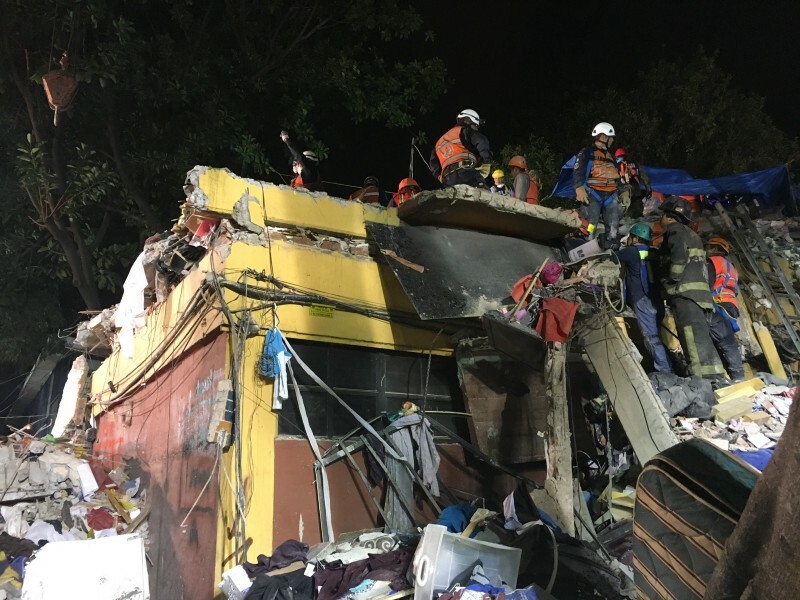 September 21–3:00 p.m. (CT): A USAID USAR unit arrives at the site of a collapsed building in Mexico City and begins a long day and night searching for survivors. 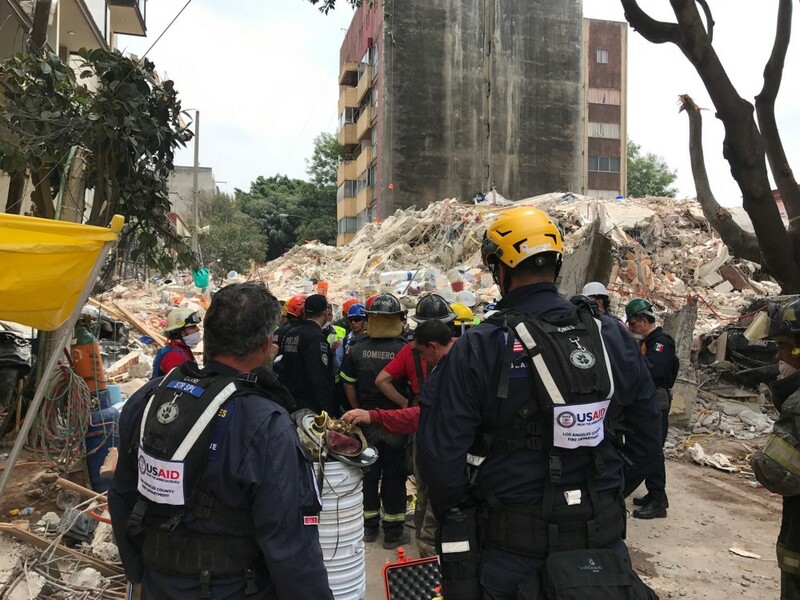 September 22–11:00 a.m. (CT): Mexican authorities request support from USAID’s USAR team at a collapsed office building in the Condesa District of Mexico City. News media from around the world were with our team when we got the call, and followed us to the site to cover the massive search and rescue operation. September 22–1:00 p.m. (CT): The USAID USAR team arrives at the site of the collapsed office building. This highly trained crew used rescue dogs, listening devices and search cameras to search through the rubble. 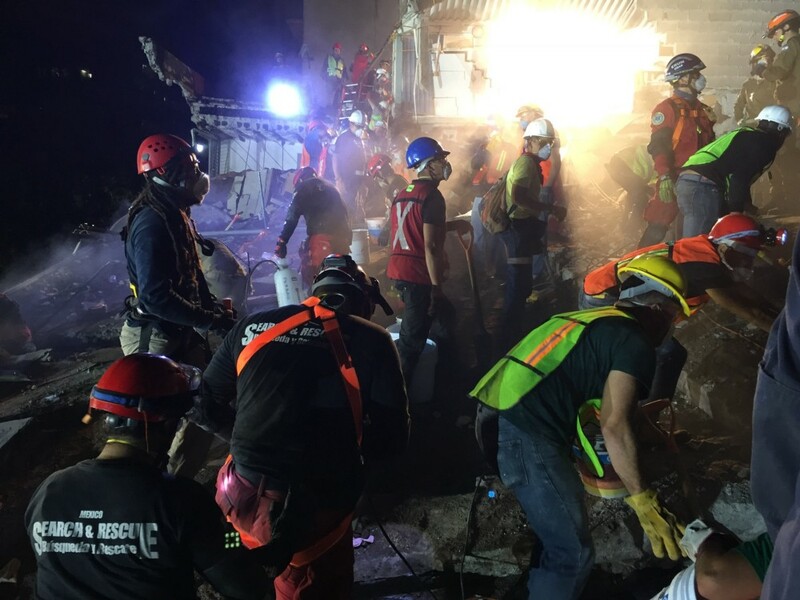 Working with their Mexican counterparts, as well as other international search and rescue teams, USAID’s USAR team searched the site through the night to help locate survivors. September 23–7:53 a.m. (CT): Four days after the earthquake, a second earthquake — measuring a magnitude 6.2 in scale — strikes Oaxaca, Mexico, temporarily halting rescue efforts where USAID’s team is working. 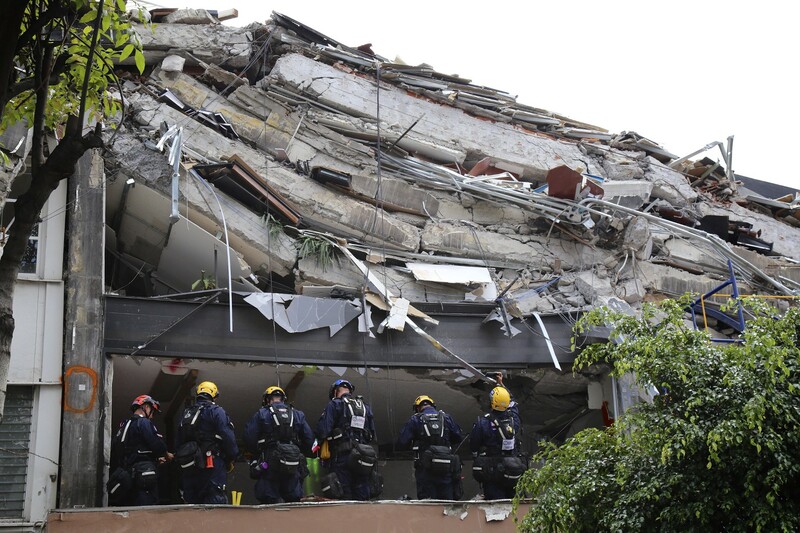 September 23–7:53 a.m. (CT): After structural specialists confirm the second quake did not cause any new damage, the search resumes at the site of the collapsed office building. Workers at the site would periodically raise their fists to call for silence so rescuers could listen for sounds of survivors in the rubble. September 23–5:00 p.m. (CT): 24 hours after the USAID USAR team began searching the collapsed office building, the final shift returns to base. 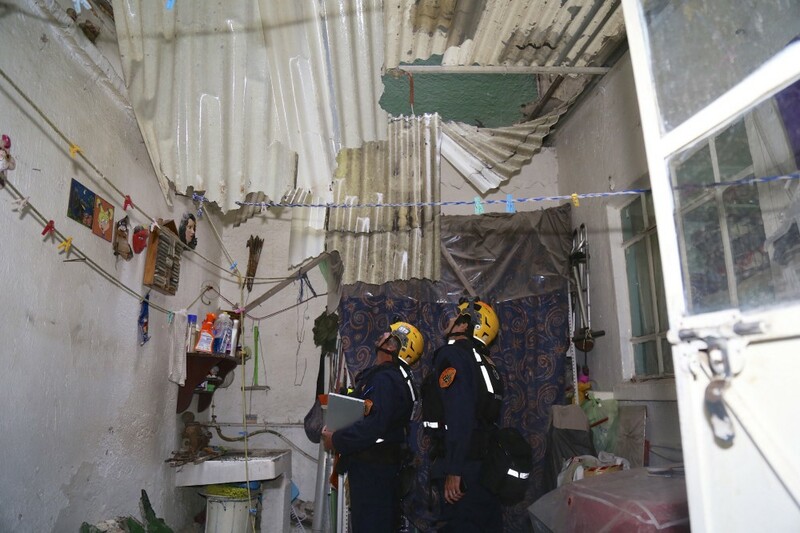 Working with their Mexican USAR counterparts, the team searched a total of eight buildings in Mexico City over three days. 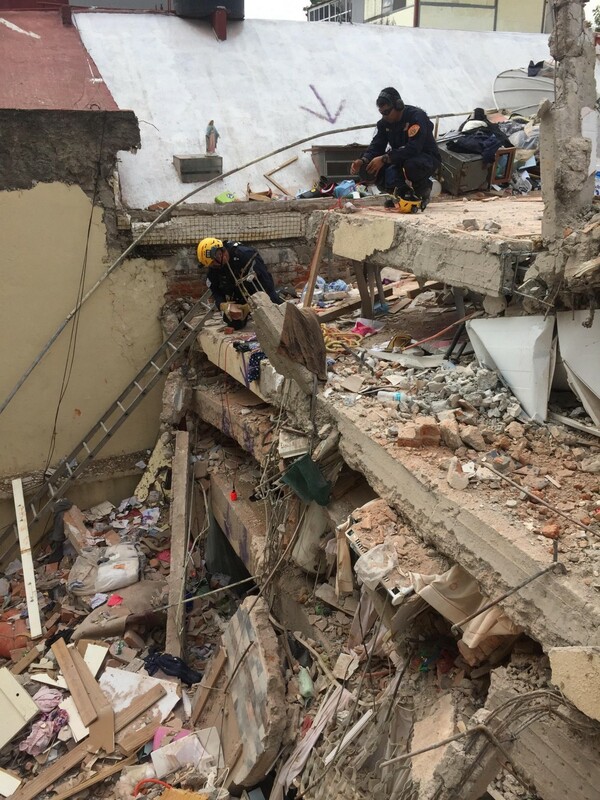 September 24–11:00 a.m. (CT) — The USAR team’s structural specialists begin assessments of damaged buildings around Mexico City. September 24–27 : Over the next four days, the USAR team assesses more than 50 damaged buildings. 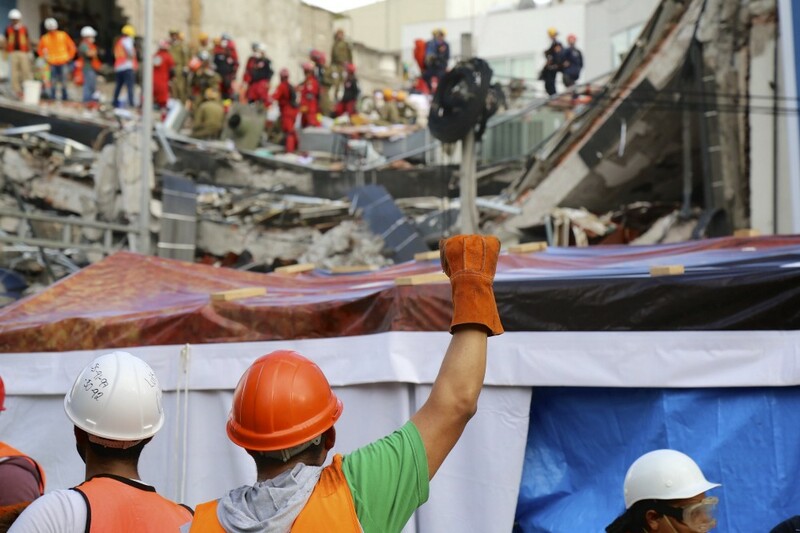 These efforts helped determine if people could safely return to their homes, and helped inform the Mexican government’s decisions on whether or not to re-open offices, schools, and clinics. September 29–10:20 p.m. (CT): After 8 days on the ground, USAID’s USAR team departs Mexico to return home to Los Angeles. September 30–11 a.m. (CT) — To support the continuing relief efforts, USAID transfers some of the USAR equipment to the Mexican Red Cross. 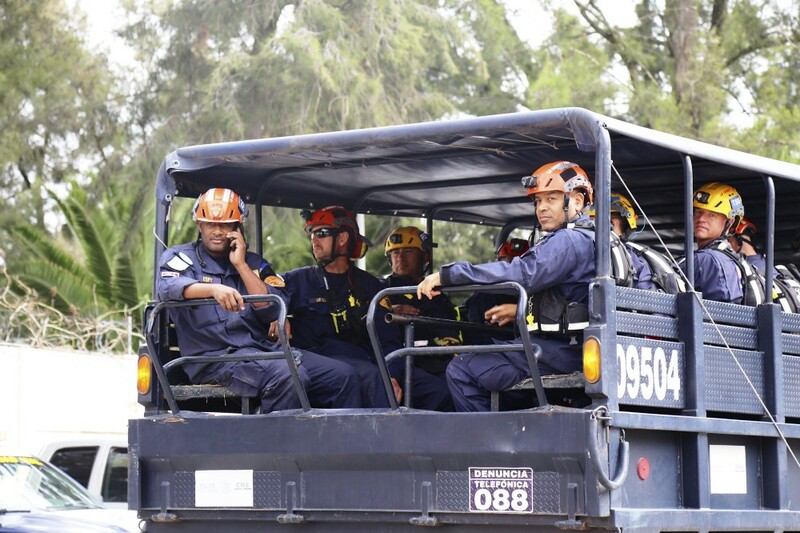 This is the 17th time that USAID — which leads and coordinates the U.S. government’s response to disasters overseas — has deployed an urban search and rescue team as part of its Disaster Assistance Response Team. 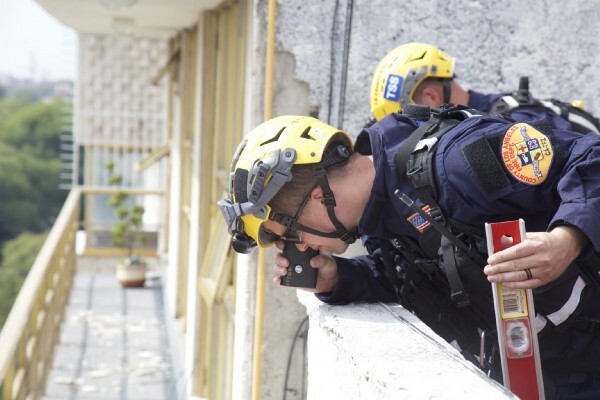 USAID’s urban search and rescue partners, which include the L.A. County Fire Department as well as Fairfax County Urban Search and Rescue, undergo hours of rigorous training year-round to be prepared to save lives when every minute counts. 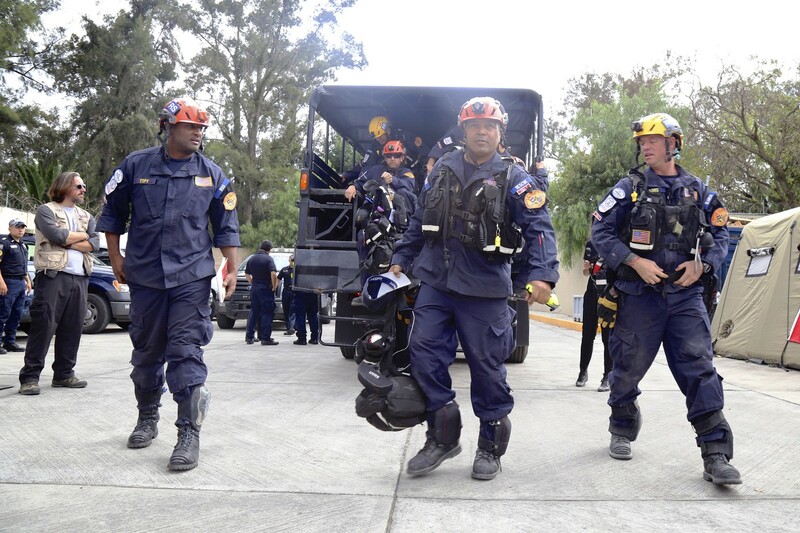 USAID’s Disaster Assistance Response Team, including the L.A. County Fire Department Urban Search and Rescue Team, at the residence of U.S. Ambassador to Mexico Roberta Jacobson. Read more about USAID’s Mexico Earthquake response here. Follow USAID/OFDA on Facebook and Twitter.